Exciting changes are taking place at E. W. Moore & Company, Inc.! As a valued client, I want to take this opportunity to share our news with you. For 30 years, my family has served you from the Hub Shopping Center on Lakeside Avenue, including 20 years in our present location. With your loyalty, we have outgrown our current office and need more space to serve you more effectively. 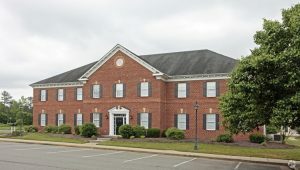 On August 8th, we will be closing our current office and we will re-open on August 15th at our new office located at 9671 Sliding Hill Road, Suite 203, Ashland, VA 23005 in the Sliding Hill Professional Building. Don’t let the Ashland location fool you. We will only be ten minutes north of our present location and easily accessible by Interstate 95 (exit 86A – Atlee) as well as by U.S. Routes 1 and 301. Our new location will give us the space we need to operate more efficiently as well as to provide you with private meeting spaces for discussing your tax and financial information. Some other changes that were made this past year that you might not have been aware of include a redesigned website (www.ewmooreaccounting.com) and a secure client portal. Our website is loaded with helpful information about our practice, posts about relevant tax topics on the blog, access to the secure client portal, and “Where is my refund?” status, just to name a few. The client portal allows us to electronically and securely exchange documents with you as a matter of convenience. If this is something that interests you, be sure to let us know so we can set you up to start using this feature. I put a great deal of thought into picking a new location and I truly feel it is the best decision to better serve you. I am truly excited to start this new chapter of the company. Our telephone number (804-266-8846), fax (804-261-9274) and email (eric@ewmooreaccounting.com) will remain the same. The comment I hear over and over again is how much you love the personal attention we give you and this will not be changing. This is a very important asset to me as a business owner and it is as valuable to me as it is to you. I will not lose sight of this benefit to our clients. I look forward to seeing you at the new office! This entry was posted in Blog on July 11, 2016 by c11723713.